arose in the 1990s in Oakland, California spreading throughout the Bay Area, in the midst of gang violence, poverty, and a range of other social ills. 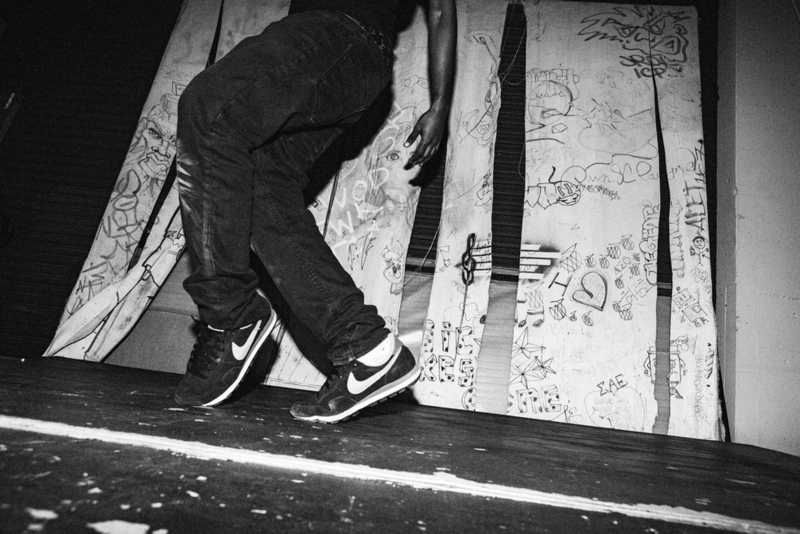 The foundation of this style is based on the various dances from different neighborhoods or "turfs" of Oakland. As an acronym, it serves as a reminder to its participants to Take Up Room on the Floor. Emerging alongside the Hyphy movement (which also originated in Oakland), turfing has a playful side as is most popularly embodied in “going dumb." Aside from the carousing aspect of the dance, a significant part of turfing is storytelling through pantomiming and performing other optical illusions with the body and movement. When on stage together, it becomes apparent that turfing and ballet share several things in common: an incredible fluidity in movement, a similar aesthetic as seen in the shapes of each style, and above all, a powerful and enduring life force that is incorruptible and irrepressible. The title of the project comes from the ancient symbol of the lotus flower as representing one who is following “the path.” The lotus grows in mud, under water where comparable life might suffocate. As it ascends and breaks surface, the flower remains pristine, unstained by the waters of experience, though still rooted in the mud from which it came. My-Linh Le studied performance art and activism at UCLA, where she received a B.A. in World Arts & Culture, and presented several of her own dance theater works, including "Talk to the Hands-Free." She went on to obtain a J.D. at the UC Davis School of Law, and thereafter practiced environmental law as an attorney for five years while remaining a competitive dancer and active participant in the Bay Area's urban freestyle dance community.